Edward Lozzi & Associates: "News On The March"
Edward Lozzi interviewed Greta Garbo twice in the early 1980's for CNN on one of her trips to his city. The movie Garbo Talks had just been released with Anne Bancroft. Garbo, still active in her 80's was again top news (reluctantly) at this time. Video: Edward Lozzi receives the Irwin Award for Publicist of the Year from awards host, comedian Shelly Berman, at the 2001 Annual Irwin Awards Ceremony from Los Angeles. Lozzi's remarks include a fascinating factual story about the 9/11 terror attacks in New York which occurred only days before this award ceremony. Video: Edward Lozzi, friend of the late Mrs. Toni Mannix, the former girlfriend of Superman actor George Reeves, is interviewed by Phil Shuman for EXTRA about her confession to the conspiracy of his murder. Video: Directors Guild, Beverly Hills. Publicity stunt? You betcha. This little unknown movie was a true story about a fugitive Canadian drug dealer. We brought in the "Dog" Chapman from Hawaii to announce from the stage that he was going to track him down. It worked. Zsa Zsa Gabor's sentence for slapping a Beverly Hills cop included a community service of producing a gala fund raising ball in 1990 for battered women at the lavish Beverly Wilshire Hotel. Edward Lozzi, Zsa Zsa's publicist at the time, is seen at the event during Zsa's Zsa's quick on-site interview set up by Entertainment Tonight's Mary Hart. The 4th Annual Roger Neal Oscar Viewing Dinner-ICON Awards & After Party Presented by World Zhitian Art Finance Company will move to its new home at the legendary Hollywood Palladium in Hollywood, California. For the past three years this event was held at the Hollywood Museum however the party has grown beyond the museum's capacity. Neal and his associates are moving into their new home THE HOLLYWOOD PALLADIUM, operated by Live Nation, www.thehollywoodpalladium.com . It's the first time in 50 years since an Oscar party has been held there. Neal is adding an after party that will see Oscar winners and presenters stop by to celebrate their win on Oscar night. "We are most excited for booking the Palladium and its beautiful restoration. We can set up to 800 for dinner if needed." said Roger Neal. Entertainment will include live on stage -22 year old R&B Pop sensation/Foundation Records recording artist ROGER NEAL, and his dancers followed by Richard Halperin's Hollywood Cavalcade show with a live band, (from LA's Cicada Club) and special guests performing high brow music from the 20's and 30's. A special appearance by Howard Hewett of Shalamar will rock the Palladium performing at the after party. A celebrity DJ will also heat up the dance floor at the after party. The Roger Neal Oscar Viewing Dinner will once again honor stars with the ICON AWARD during the pre-show to the Academy awards. This year's honorees include: For Television, award winning actress Loretta Swit star of Mash. Oscar nominees Robert Forster, Margaret Avery (Oscar Nominee) and Lainie Kazan for Motion pictures. Ernie Hudson for Motion Pictures, Bernie Kopell (Love Boat), for TV and Walton's star Ms. Michael Learned, for TV. The Music Icon Award will go to Grammy and Golden Globe nominee Frank Stallone. Woman in Philanthropy Icon award goes to actress/philanthropist/2 time Daytime Emmy Award Winner Kira Reed Lorsch (The Bay). The Icon Awards presenters include: (TBA) All awardees will accept in person. The Academy Awards viewing dinner will be a sit down, black tie white glove service experience for the stars, their guests, sponsors and ticket buyers. 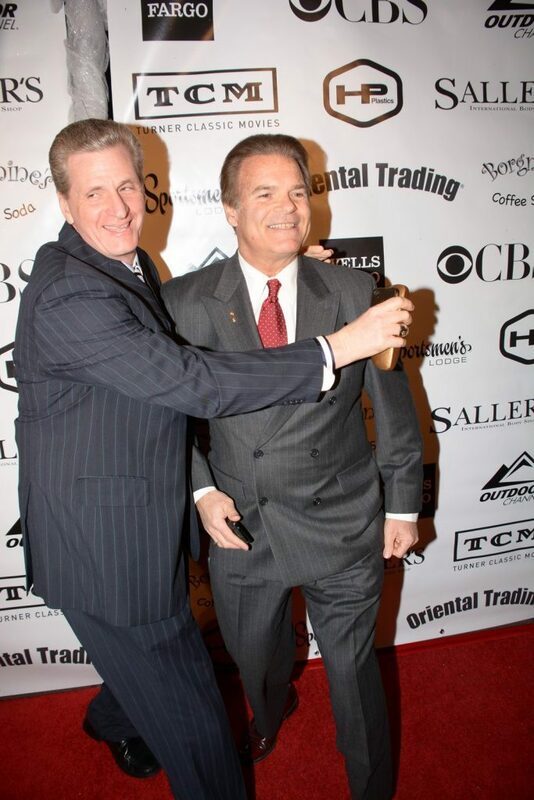 Neal said, "THE 4TH ANNUAL Oscar VIEWING Dinner, Suite and After party will be our biggest yet and we are looking forward to a spectacular night on Feb 24th 2019". Eileen Bradley, from 'The Real', 'E-Entertainment Television' and 25 years in talent bookings for networks, serves as the Talent Executive and Edward Lozzi of Edward Lozzi & Associates PR (who was publicity and red carpet coordinator for the now ended Night of 100 Stars), has been brought in for the Roger Neal Oscar Viewing Dinner and after party for 2019 . Over 100 Stars are expected. 600 Guests in total are expected for dinner. We are proud to announce that our 24th annual Oscar Suite will be held also on Oscar Day in the Hollywood Palladium.. The stars will be gifted with a gift bag filled with couture, and service brands worth $20k. From the suite, the stars will go to the Oscar viewing dinner press line to walk the red carpet and then on to the ballroom for the OSCAR VIEWING DINNER. THE OSCAR SUITE WILL GO FROM 11:00am-2:30pm. Mel Gibson, Natalie Portman, Bryce Dallas Howard, Hilary Swank, Tippi Hedren, Melanie Griffith, Dakota Johnson, Renee Lawless (Tyler Perry's The Have and Have Not's), Kevin Sorbo, Burt Ward (ROBIN FROM TV'S BATMAN), Fred Willard, Michelle Johnson(BLAME IT ON RIO), Lee Purcell, Suzanne Sena, Don Most(HAPPY DAYS), Fernando Allende, Ruta Lee(SEVEN BRIDES FOR SEVEN BROTHERS), Hank Garrett, Nikki Leigh(LIFETIME MOVIE), Jen Lilley(DAYS OF OUR LIVES), Phil Morris(SEINFELD), Matty Cardarople(NETFLIX SERIES - A SERIES OF UNFORTUANTE EVENTS), OSCAR WINNER George Chakiris, Mayf Nutter(THE WALTONS), Lindsey Bloom(MIKE HAMMER), Jayne Kennedy, Lee Benton(NOCTURNAL ANIMALS), Marla Gibbs, Kymberly Hefner, Anne Marie Johnson, Marci Miller ( DAYS OF OUR LIVES) Khandi Alexander, Maria Conchita Alonso, Alice Amter, Geri Jewel, Jeremy Miller(GROWING PAINS), Rex Smith, Benjamin Onyango, FRED WILLARD, Isidora Goreshter(star of SHAMELESS)... ALL HAVE BEEN INVITED To ATTEND AGAIN. About The Hollywood Palladium: It was built in a Streamline Moderne, Art Deco style and includes an 11,200 square foot dance floor including a mezzanine and a floor level with room for up to 5,000 if standing. The theater was listed on the National Register of Historic Places in 2016. Los Angeles Times publisher Norman Chandler funded the construction of the art deco Hollywood Palladium at a cost of $1.6 million in 1940. It was built where the original Paramount lot once stood. The style dance hall was designed by Gordon Kaufmann, architect of the Greystone Mansion, the Los Angeles Times building and the Santa Anita Racetrack. He was also the architect for the Hoover Dam. The ballroom opened on October 31, 1940 with a dance featuring Tommy Dorsey and his Orchestra and band vocalist Frank Sinatra. It had six bars serving liquor and two more serving soft drinks. During World War II, the Palladium hosted radio broadcasts featuring Betty Grable greeting servicemen's song requests. Big Band acts began losing popularity in the 1950s, causing the Palladium to hold charity balls, political events, auto shows, and rock concerts. In 1961, it became the home of the long-running Lawrence Welk Show. 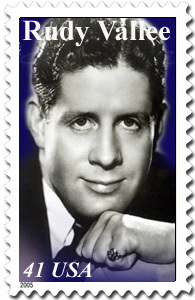 From 1955-1976, the venue was the scene of Latin Music Orchestras sponsored by radio personality Chico Sesma titled Latin Holidays. The Tito Puente Orchestra performed regularly between 1957-1977 to sold-out houses. President John F. Kennedy attended a dinner given in his honor by the California Democratic Party at the Palladium on November 18, 1961. In 2007, the owners agreed to a long-term lease to operate, manage and exclusively book the Hollywood Palladium with Live Nation, a Los Angeles-based company. The Palladium reopened with a Jay-Z concert on October 15, 2008 after a year-long, multimillion-dollar renovation by Live Nation. The renovation included an overhaul of the venue's interior and exterior, a new dance floor, expanded concessions, upgraded restrooms and improvements to the stage infrastructure. This month rock group Nine Inch Nailsrocked The Palladium with a full house. In the 1950's, the studios had Oscar parties there. 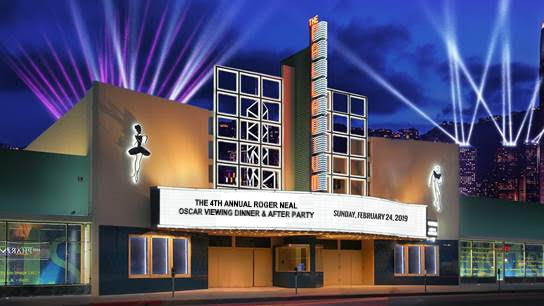 In fact the Roger Neal Oscar Viewing & After Party will be the first Oscar Viewing Party ever held since that era. After 6 long years of work and anxiety, knowing that Phil Spector murdered the lovely Lana Clarkson, we know the jury did the right thing -- even with his $6 million in legal fees and paid fabricators. We are just plain HAPPY!!!! Congratulations to District Attorney Alan Jackson and his team for staying the course and getting the ultimate conviction. Spector is in custody. No more bail -- 18 years in the "joint." Sentencing May 29th. Good riddance! Many of us who have been threatened by Phil Spector and his minions can now rest easily. Pope Benedict was quoted that during the 10-day visit to Australia he would work for "healing and reconciliation with the victims" of sexual abuse by Catholic clergy there "just as I did in the United States" earlier this year. Read Edward Lozzi's post at The Huffington Post. Life has been topsy-turvy for the daughter of Zsa Zsa Gabor and Conrad Hilton. But she turns it into stand-up and invites the world to guffaw with her. Read the article in The Los Angeles Times. Get on board this most deserving cause for the father of the modern American entertainment genre. Sign the petition and check out the salute and campaign. Rita Cosby interviews Edward Lozzi on Anna Nicole Smith. Rita Cosby, MSNBC and FOX News Anchor, is the author of the new controversial best seller book "Blonde Ambition: The Anna Nicole Smith Story." "George Reeves Was Murdered and Toni and Eddie Mannix Did It!!!!" From the years 1959 till 1999, that statement could have gotten you killed! 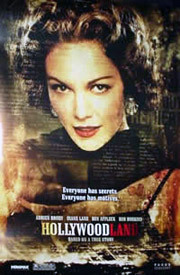 The motion picture Hollywoodland starring Diane Lane, Ben Affleck, Adrian Brody and Bob Hoskins opened to the nation on September 8, 2006. It's the story of the mysterious death of actor George Reeves who portrayed the 1950's TV Superman. There is no mystery. He was murdered in 1959 by his benefactors Toni and Eddie Mannix, of the powerful MGM Studios portrayed in the Miramax Universal Focus film by Diane Lane and Bob Hoskins. 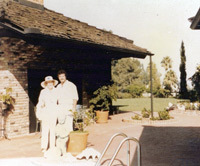 In 1979, twenty years later to the week of the George Reeves murder, a young man moved into the widow Toni Mannix's guest house in Beverly Hills and became her friend and confidant. Toni Mannix wanted him as a replacement for George Reeves. She had chosen others like this over the years who were the same size and height as the man she loved then murdered, George Reeves. Later, this young man and a Catholic priest witnessed her deathbed confession of the murder. 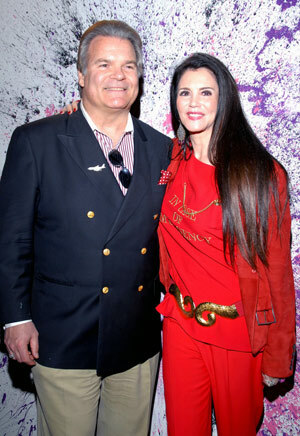 The young man's name is Edward Lozzi who is now a well known Beverly Hills public relations executive. He knows without a doubt that Toni Mannix had the motive, the inclination, and the means to have George Reeves murdered. He and the catholic priest also have that confession imbedded in their minds forever. The tainted evidence, the corrupt Los Angeles City and MGM officials, and the hit men who carried out the order for the Mannix's was known by insiders for the past 47 years and by Lozzi since 1983 when Toni Mannix, a devout Catholic, confessed to the priest to avoid "going to hell." Six years ago Lozzi appeared on EXTRA, Inside Edition, E-Entertainment Television and ABC News. But most of the info was buried. Now that there is a motion picture with major stars, the attention will be huge. Lozzi finally and academically revealed who the murderers were -- Toni and Eddie Mannix. The hit men who carried out the murder for them died in 1999. That was the year Lozzi came forward with these revelations which are a surprise to no one in 1950's-1960's Hollywood circles. Mr. Lozzi has no book, film, or documentary to promote. It's simply his witness of history and the need to stress the importance of the combination of evidence, witness statements, and basic forensic proof that the obvious and criminal cover-up of a murdered TV star by the powerful all-encompassing MGM Studios led by the murderer himself Eddie Mannix was not just someone's theory. It took decades for people too afraid to come forward to finally reveal the truth. The LA Coroner and a myriad of other corrupt government and Studio officials were constantly bribed and threatened by Eddie Mannix of MGM. Hollywoodland, and the power of its story and Mirimax distribution will finally help a mother's wish ... George Reeve's mother went to her grave vowing to someday reveal the killers of her beloved son. Consider it done! Lana Clarkson's first publicity photo for Edward Lozzi & Associates, early 1980's. "Permission granted." Song & Video: "Lana!" New song from British Rock Group "The Climb" (now on the air in UK) just sent to us by lead singer Andrea Barber. Wonderful! Thank You! When did the glass slipper fall from your heel? When did the fairy-tale start being surreal? In Reckless, the author masquerades as a true crime story writer. Carlton Smith becomes a chronic fabricator who writes with oblivious abandon and apathy about the feelings and good names of others. In Reckless he makes Kitty Kelly seem like Mother Teresa. His book has attempted to sully the reputation and good name of the murdered actress Lana Clarkson. Reckless does this by regurgitating a rumor about her in an article written by Robert Anson in Vanity Fair, knowing that there was no substance whatsoever to this rumor, and then lying about the source. He didn't have to do what he did to make his book sellable. But he went for the sleaze factor about Lana possibly being a call girl after promising me, a person he interviewed for this book, that he would not. This book is dangerous and shoddy tabloid journalism. Smith's book is a valentine to accused murderer Phil Spector and his former lawyer Leslie Abramson.Cartlon Smith jumped at the chance to sully the reputation of Lana Clarkson to sell this book. His non-sourced, post deceased, reputation ruining heresay, shows through and makes for a terrible read. Beside this book trashing the victim Lana Clarkson, it also reads as though Phil Spector edited this book himself. Salvador DalÃ­. 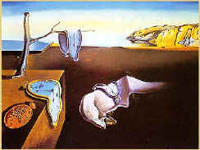 The Persistence of Memory. 1931. 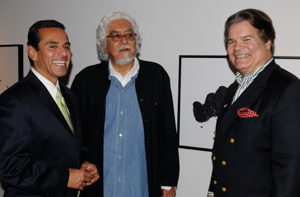 Oil on canvas, 9 1/2 x 13"
LA Mayor Antonio Villaraigosa, artist Robert Graham, and Edward Lozzi at the Ace Gallery, Los Angeles, March, 2008. Drawing is the honesty of the art. There is no possibility of cheating. It is either good or bad. Edward Lozzi & Associates, leveraging 20 years in public relations, has announced the opening of a new division, "The Corporate Art Network." Many corporations are now re-evaluating the thematic guidelines, resale value, and changing ascetic needs of new buildings and changing visions. Edward Lozzi & Associates, with experience representing art clients, including former artists, galleries, and photographers, will essentially be acting as brokers to extend artists' visibility and reach to a new customer base. Thomas Murphy, well-known Southern California art auctioneer and fine art consultant, is on board as an integral part of the Network. We will be aggregating and identifying emerging talent and undervalued works in an inventory to represent to Fortune 500 corporate clients. Corporate art in the business community is recognized as one of the fastest growing segments of the art market. Our objective in the coming months is to identify both the focus and style of these collections. In the next few months we will be assessing corporate budgets and client needs and traveling to galleries to meet and build inventory for corporate presentations nationwide. borrow the car every now and then.